A long pending post! I make this very often, but never made into this space. One of my favorite from childhood, indeed the first recipe I learnt from my mom. 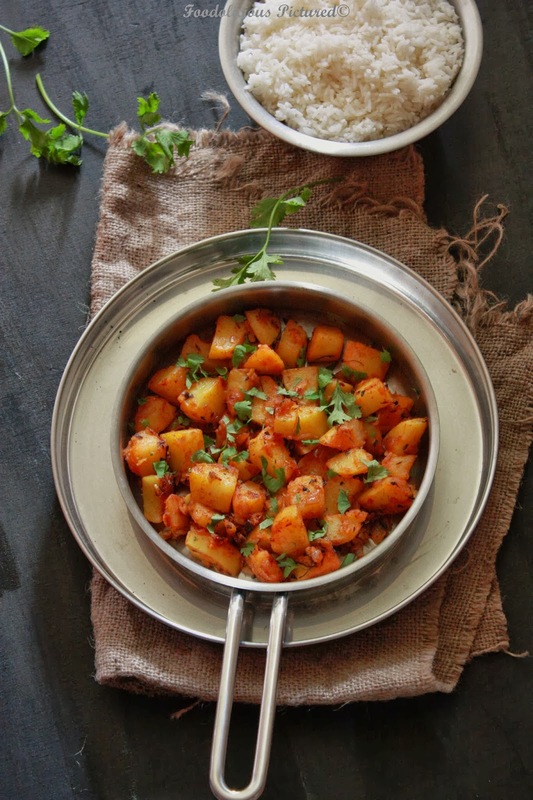 An easy and uncomplicated recipe, we normally savor this with Rice, sambar/Rasam. 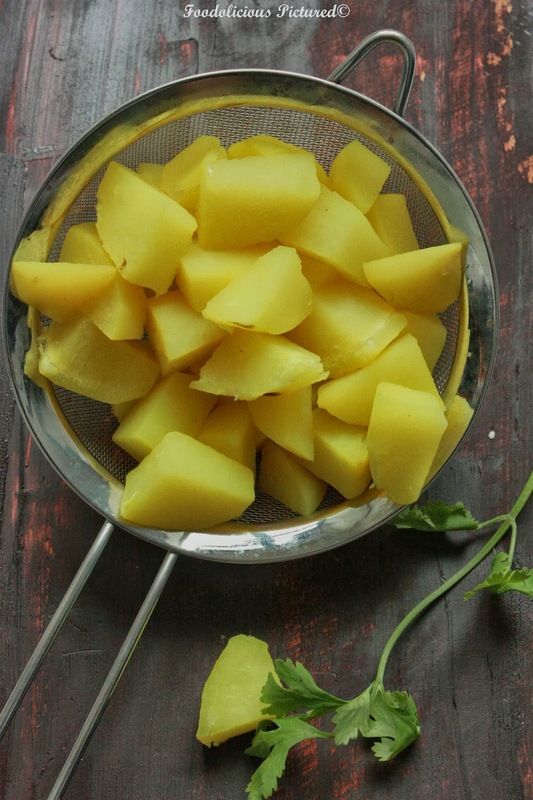 In a pot boil the potatoes with turmeric powder till done. Make sure not to over cook and mushy. Drain the water and set potatoes aside. Heat oil in pan, add the cumin seeds. Once they start to pop, add the chili powder and fry for a minute. Add the onion and garlic and saute till the raw smell of garlic is gone and onions are soft and start to brown. Add the cooked potatoes salt and mix will. Sauté for 2 minutes. Now add the Kasoori Methi, garam masala and stir fry for a minute. Turn off the heat and garnish with fresh coriander leaves. Serve hot with rice and curry. Potato stir fry is my favorite with some moru curry. 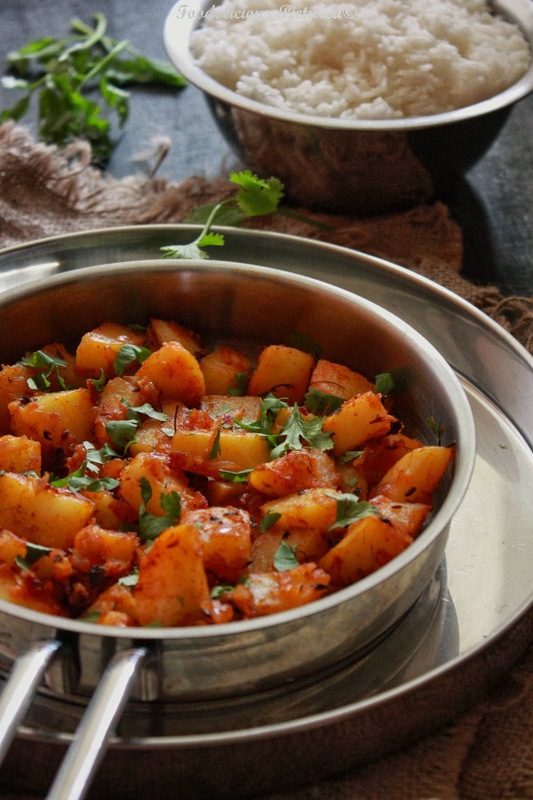 I think this potato dish is a all time among many including us. I have made it many a times yet I like to try out new styles shared by others. Adore the combo of spices yet the methi is an issue. I can't seem to find it over here. 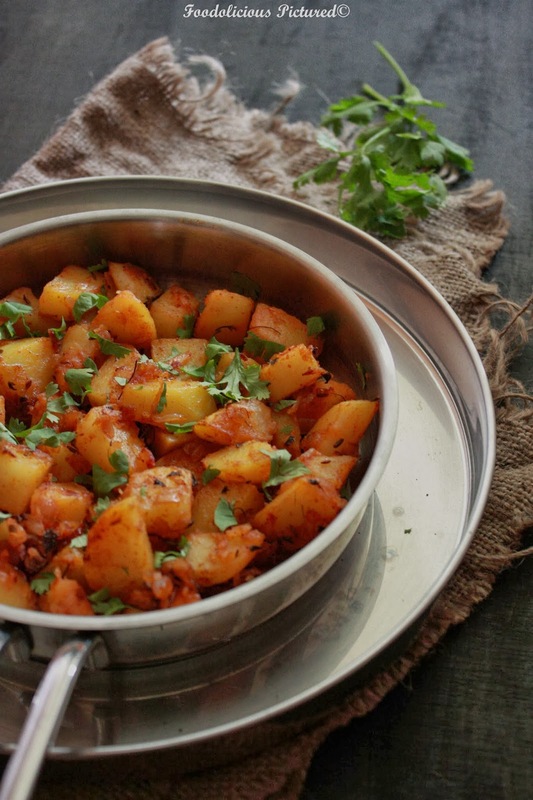 wow awesome stir fry.. tempting clicks..
Yumm…..its the best side dish with some curd rice. A best combination with curd rice. My favourite. 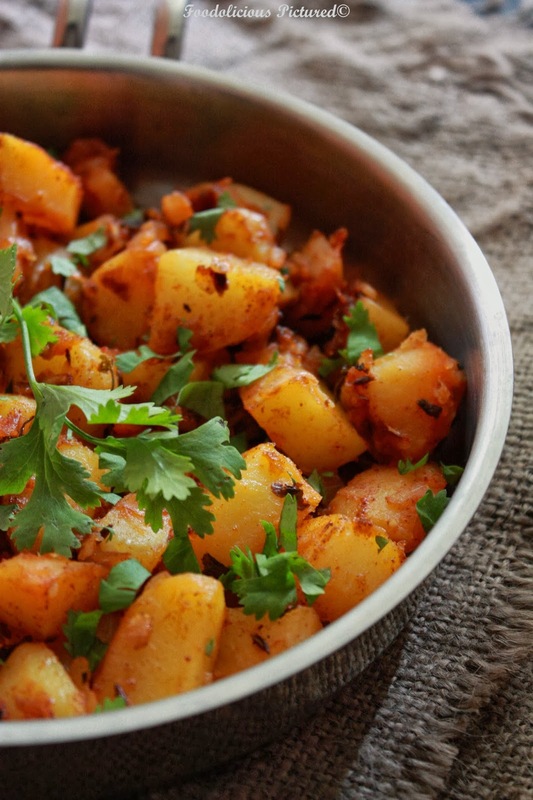 It's almost lunch time, and the potatoes are looking so good and it's making me more hungry. Looks really nice Rekha. Lovely stir fry. got to shop for more potatoes! Plain rice, the potato stir fry you made, curd and pappadams. Should be a superb combination!